"A world where the night never ends." The film revolves around John Murdoch. He wakes up in a hotel bathtub without any recollection of his life. He suddenly receives a sudden phone call from Dr. Daniel Schreber. Dr. Schreber tells Murdoch that his life is in danger. Dr. Schreber also tells Murdoch that a group of people called “The Strangers” are looking for him. Murdoch discovers a corpse in the room while he is talking to Dr. Schreber. Murdoch immediately flees the scene with sudden urgency. He later discovers that he is in a city surrounded by darkness. The movie proceeds to showcase an intense chase taking place between The Strangers and Murdoch. Murdoch faces the challenge of saving his life and uncovering clues about his past. 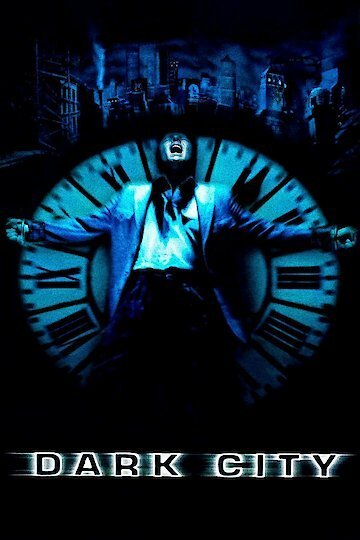 Dark City is currently available to watch free on Vudu Free and stream, download, buy on demand at Amazon, Vudu, Google Play, iTunes, YouTube VOD online.